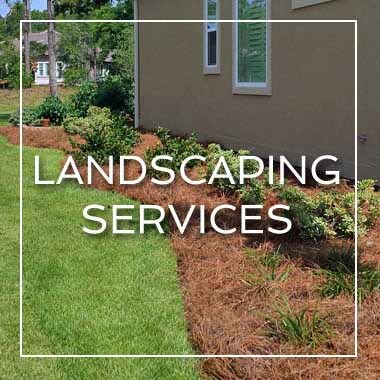 We are a full service Myrtle Beach landscaping team of lawn specialists serving residential and commercial clients. Give us a call at 843-246-5598 or get a FREE quote today! We are Super-Natural Landscaping, and we focus on creating stunning landscaping while also giving excellent customer service. We’ve been operating in the landscape industry for over 15 years, so we really know our stuff. We have a team of knowledgeable and experienced landscapers and chemical specialists, so no matter what kind of landscaping service you need, whether it’s lawn treatments, mowing, design, palm tree installation or stump grinding, we’re the ones who are qualified to do it for you. We offer a free, no-obligation quote to all our potential customers, so feel free to get in touch with us today! The beauty of Super-Natural Landscaping is that we come to you, not the other way around. Our office is located in Conway, SC, but if your commercial or residential property is in any of the following locations, we can work with you. Not sure if we cover your area? Just contact us and ask! We create gardens and areas that are natural and beautiful. Our designs make your outdoor spaces look effortlessly maintained, whether you want something simple and low key, or a vibrant and exciting design. Whatever your vision, we've got the skills to do it. We've worked on a variety of projects, including bed renovations, island renovations and garden design. We can turn dusty old spaces into flourishing flower beds, and boring public islands into ones that are much more pleasing to the eyes. There is nothing that improves the curb appeal of any property like a well-maintained and well-trimmed lawn. A healthy lawn not only looks impressive but it adds value to your property. However, it takes way more to keep your lawn beautiful and healthy than simply running it over with a lawn mover. 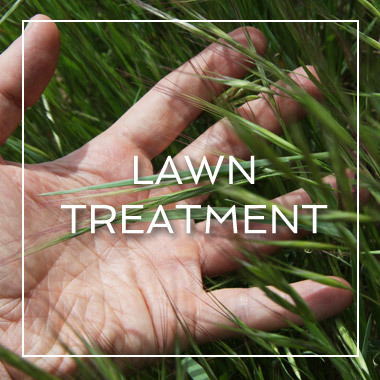 Super-Natural Landscaping offers a Complete Lawn Care Treatment Program for all our commercial and residential clients. If you own or manage a property chances are you have a very busy schedule. Maintaining your landscape is, most likely, the last thing on your mind. At the same time, managers and business owners know very well that commercial properties can greatly benefit from a splendid landscape design. Almost every brick-and-mortar business can achieve a financial gain from investing in their landscape. Tastefully designed and well-maintained flower beds or pathways in front of an office building make a great first impression on any visitor. Your clients and business partners will know you're a detail-oriented professional running a smooth operation without cutting any corners. Clients will keep coming back to do their business in a place which makes them feel content and safe. Moreover, your employees will surely appreciate the welcoming sight of greenery and flowers on their way to work, or a comfortable bench in the shade of a pretty tree where they can enjoy their lunch break. It has been scientifically proven that being surrounded by nature makes us happy, and happy employees are more efficient. Living in South Carolina, we all know how high an electric bill can get in the heat of the summer where the air conditioning units are often times running 24/7. It is especially important to keep an office environment cool and comfortable to keep the employees focused on their tasks. Business owners and property managers can lower summer cooling bills by planting shade trees on their property. No matter whether you're looking for a reliable company to maintain your lawn or you want to improve your landscape design with pathways, a courtyard or a rain garden, our team at Super-Natural Landscaping can help you come up with the best solution for your property. 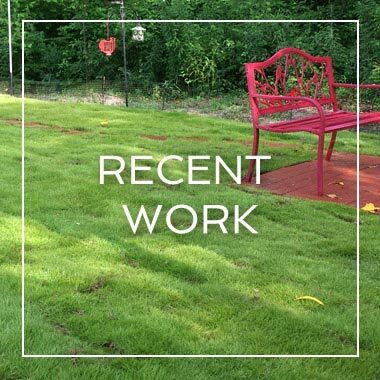 We are a dedicated and hard-working team, and we'd love to take care of all of your landscaping needs so you can focus on what you do best - running your business. No matter whether you reside in Conway, Myrtle Beach or North Myrtle Beach, keeping your yard in excellent shape goes a long way towards increasing your property value. Every home buyer knows that yard work is part of homeownership. Unfortunately, to keep your yard looking beautiful you need to put more work into it than simply mowing the grass and raking the leaves. 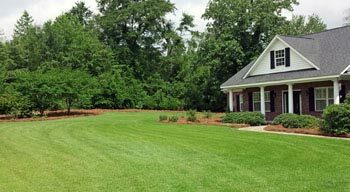 Super-Natural Landscaping has been looking after yards of many Grand Strand residents for over a decade. We know the area and all of the aspects related to planting, shrubs and tree maintenance, weed control, pest control and more. We care deeply about every aspect of our work. We don't just come and mow your lawn but we make sure each time we cut your grass we vary the mowing direction so your grass looks straight and healthy. A dedicated homeowner can certainly manage to keep his yard weed-free. However, yards vary in the extent of care they require. Some yards may be discolored, others slow-growing because they're missing certain nutrients. Quite often in order to get your yard in the best shape possible you need to apply several different treatments at certain times of the year. At the same time you have to monitor your outdoor area to make sure new problems don't occur. A beautiful back yard encourages a healthy lifestyle for the whole family and creates a wonderful spot for social gatherings. If you are ready to start enjoying your yard and stop worrying about all the time you need to spend doing yard work on a Saturday afternoon, you should consider talking to a professional landscape crew. Are you excited about turning your landscaping dreams into a reality? Don’t wait to contact Super-Natural Landscaping! Call us at (843) 246-5598, or fill out our online form to get a free, no obligation quote. Our super-friendly team looks forward to hearing from you. Get that amazing-looking lawn you've always dreamed of today!